The good news this week is very good: Adele's 21 tops the 6 million mark in U.S. sales in its 48th week. It's the first album to reach 6 million that quickly since Usher's Confessions hit that plateau in its 29th week in October 2004. Five other albums that have been released since Confessions have sold 6 million or more copies, but they all took much longer to hit the 6 million mark. 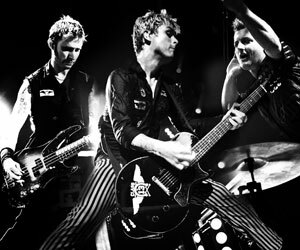 Taylor Swift's Fearless took 96 weeks to cross that threshold, Carrie Underwood's Some Hearts took 104 weeks, Nickelback's All The Right Reasons took 105 weeks, Kelly Clarkson's Breakaway took a little more than 3-1/2 years and Green Day's American Idiot took six years and four months. The slumping market for album sales makes Adele's achievement all the more amazing. 21 tops The Billboard 200 for the 16th week, which is the longest run since the Titanic soundtrack spent 16 consecutive weeks on top in 1998. It's the longest run for a regular studio album (excluding soundtracks) since Billy Ray Cyrus' Some Gave All logged 17 consecutive weeks at #1 in 1992. This is the longest run at #1 for an album by a female artist since Whitney Houston's The Bodyguard soundtrack logged 20 weeks on top in 1992-1993. It's the longest run for an album by a British artist since the Police's Synchronicity was #1 for 17 weeks in 1983. Adele will probably log several more weeks at #1. It's a foregone conclusion that she'll sweep the Grammys on Feb. 12. Also, "Set Fire To The Rain" may reach #1 on the Hot 100 this week, dethroning "We Found Love" by Rihanna featuring Calvin Harris. The song jumps to #1 on Hot Digital Songs this week. 21 sold 34K digital copies this week, putting it at #1 on Top Digital Albums for the 11th week. 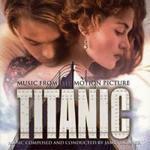 It will soon become the first album to sell 2 million digital copies. (Its tally right now stands at 1,879,000 digital copies.) Eminem's Recovery was the first album to sell 1 million digital copies. It crossed that threshold in July. 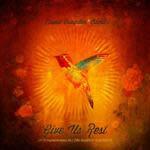 David Crowder Band's Give Us Rest debuts at #2. This is the second time in three months that Adele has blocked a Christian pop or rock group from the #1 spot. In September, her album held Casting Crowns' Come To The Well to a #2 peak. Oddly, no Christian group has ever topped The Billboard 200. Casting Crowns also debuted and peaked at #2 with its 2007 album The Altar And The Door. Three other albums by Christian pop or rock groups have debuted and peaked at #2: Underoath's Define The Great Line, Skillet's Awake and Red's Until We Have Faces. Give Us Rest is the first top 10 album for the David Crowder Band, which first hit The Billboard 200 in 2003 with Illuminate. The highest-charting album before this for the Texas-based band was 2009's Church Music, which reached #11. The ensemble has announced that this is its last album. The group played what it called its final show on Jan. 2 at the Passion 2012 Conference in Atlanta. 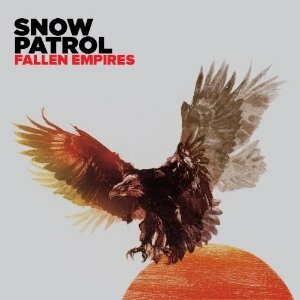 Snow Patrol's Fallen Empires debuts at #5. It's the Scottish group's second top 10 album. A Hundred Million Suns hit #9 in 2008. Snow Patrol is the first Scottish group to land two top 10 albums since Franz Ferdinand scored with 2005's You Could Have It So Much Better and 2009's Tonight: Franz Ferdinand. The last Scottish group to have more than two top 10 albums was Average White Band, which scored with three straight in 1975-1976: AWB, Cut The Cake and Soul Searching. Train's "Drive By," Van Halen's "Tattoo," Snow Patrol's "Called Out In The Dark" and Lana Del Rey's "Video Games" are among the songs vying to enter the Hot 100 this week. Which ones will make it? You'll find out when we post Chart Watch: Songs later today. 1. Adele, 21, 104,000. The album logs its 16th week at #1. This is its 47th week in the top 10. Four songs from the album are listed on Hot Digital Songs, topped by "Set Fire To The Rain," which jumps from #3 to #1. 2. David Crowder Band, Give Us Rest, 51,000. This new entry is the band's first top 10 album. 3. The Black Keys, El Camino, 36,000. The album holds at #3 in its sixth week. It has been in the top 10 the entire time. "Lonely Boy" jumps from #88 to #70 on Hot Digital Songs. 4. Drake, Take Care, 32,000. The former #1 album drops from #2 to #4 in its ninth week. It has been in the top 10 the entire time. Five songs from the album are listed on Hot Digital Songs, topped by "Headlines," which drops from #29 to #31. 5. Snow Patrol, Fallen Empires, 31,000. This new entry is the Scottish group's second top 10 album. A Hundred Million Suns hit #9 in 2008. "Called Out In The Dark" enters Hot Digital Songs at #64. 6. Young Jeezy, TM:103 Hustlerz Ambition, 24,000. The album drops from #4 to #6 in its fourth week. 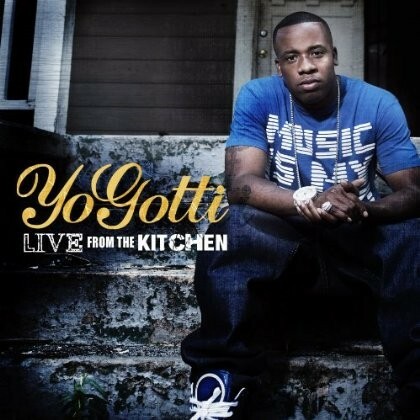 "I Do" (featuring Jay-Z and Andre 3000) drops from #171 to #177 on Hot Digital Songs. 7. Rihanna, Talk That Talk, 22,000. The album dips from #6 to #7 in its eighth week. This is its sixth week in the top 10. Two songs from the album are listed on Hot Digital Songs. "We Found Love" (featuring Calvin Harris) drops from #4 to #6. "You Da One" drops from #23 to #25. 8. Coldplay, Mylo Xyloto, 20,000. The former #1 album drops from #5 to #8 its 12th week. This is its eighth week in the top 10. Two songs from the album are listed on Hot Digital Songs. "Paradise" jumps from #32 to #29. "Princess Of China" (featuring Rihanna) inches up from #158 to #157. 9. Nickelback, Here And Now, 19,000. The album rebounds from #11 to #9 in its eighth week. This is its sixth week in the top 10. 10. Various Artists, Now 40, 17,000. The album dips from #9 to #10 in its ninth week. This is its seventh week in the top 10. Two albums drop out of the top 10 this week. SafetySuit's These Times plummets from #7 to #57. LMFAO's Sorry For Party Rocking drops from #8 to #11. Florence + the Machine's Ceremonials drops from #10 to #15. Yo Gotti's Live From The Kitchen debuts at #12. It's the rapper's highest-charting album to date. His previous best was his 2006 album Back 2 Da Basics, which hit #84…Rebelution's Peace Of Mind debuts at #13...Adele's 2008 album 19 drops from #13 to #16 this week. The album holds at #1 on Top Catalog Albums for the 31st week…Lady Antebellum's Own The Night drops from #12 to #17 in its 18th week. It's #1 on Top country Albums for the ninth week...The Lana Del Rey EP bows at #20. The soundtrack to Joyful Noise debuts at #21. It's the week's #1 soundtrack. The feel-good gospel-themed movie stars Dolly Parton and Queen Latifah, both of whom have had notable success with movie music. Parton topped the Hot 100 in 1981 with her title song from 9 To 5. Latifah was featured on the Chicago soundtrack, which reached #2 in 2003. Parton received an Oscar nomination for writing "9 To 5" (and for writing 2005's "Travelin' Thru" from Transamerica). Latifah was nominated for an Oscar for Best Supporting Actress for playing Matron Mama Morton in Chicago. Bruno Mars' Doo-Wops & Hooligans drops from #35 to #40 in its 67th week. It's doing even better in the U.K., where it returns to #1 for a second week. (It peaked at #3 in the U.S.) It's the first album by an American artist to log two weeks at #1 in the U.K. since Beyonce's 4 last July. Adele's DVD Live At The Royal Albert Hall is #1 on Top Music Videos. It sold 19K copies this week, bringing its seven-week total to 494K. Contraband was #1 at the box-office over the weekend. Clinton Shorter scored the movie. Velvet Revolver had a #1 album titled Contraband in 2004. 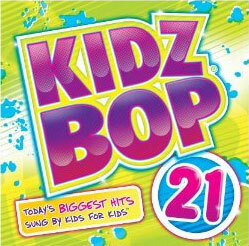 Coming Attractions: Kidz Bop Kids' Kidz Bop 21 is expected to be next week's top new entry, with sales in the 45K range. Also due: Attack Attack! 's This Means War, with sales of up to 20K. 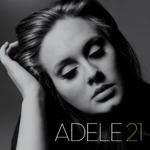 Shameless Plug I: Adele is nominated for six Grammys. If she wins them all, which is likely, she'll tie Beyonce's record for most Grammys won in one night by a female artist and Eric Clapton's record for most Grammys won in one night by a British artist. I wrote a blog for the "And The Winner Is" folder in which I look at everybody who has won five or more Grammys in one night. It is chock-full of Grammy lore. If you missed it, here's a link. Shameless Plug II: Who does a better job of honoring the year's best music: the Grammys or MTV's Video Music Awards? One way to find out would be to compare the winners of their top awards: the Grammy for Record of the Year and the VMA for Music Video of the Year. I did just that in another "And The Winner Is" blog. I picked my favorite in each of these showdowns for the past 28 years. I invite you to do the same. If you missed that one, here's a link.